Video Products Inc (VPI) today announced the addition of Tooless CAT5e/6 Plugs to its popular line of Network Accessories. 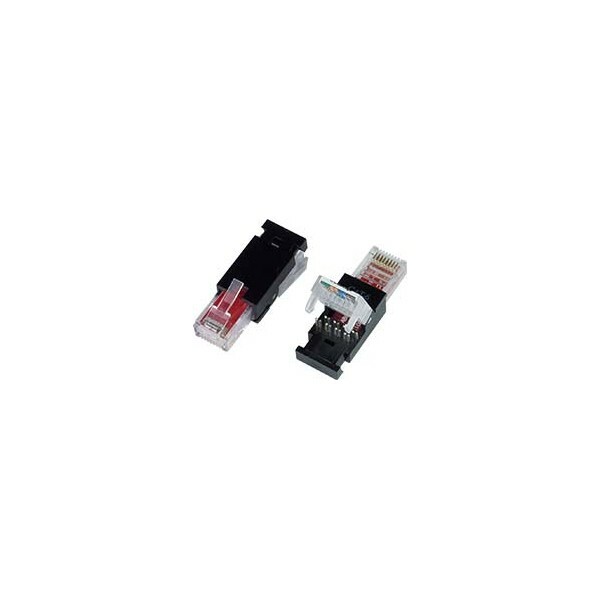 Tooless plugs are ideal for quick cable terminations as no punchdown tools are required. 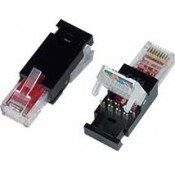 The 6-PLG-TOOLESS CAT6 Tooless RJ45 Plug and E-PLG-TOOLESS CAT5e Tooless RJ45 Plug provide an easy way to wire RJ45 plugs for CAT6/5e round cables. Both plugs support solid and stranded conductors with 50-micro inches of gold plating on contacts. The pre-sorted wire loading bar accepts 24 to 26 AWG wires, which can be slid into the color-coded spaces. IDC termination clamps firmly grasp stranded or solid conductors for a reliable connection. 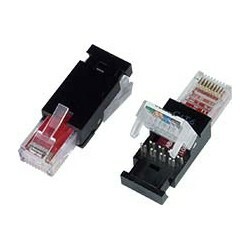 VPI also offers the E-PLG-TOOLESS-BT CAT5e Tooless RJ45 Plug with Strain-Relief Boot, which relieves conductor stress. It accepts 24 to 26 AWG wires with 50-micro inches of gold plating on contacts. The pre-sorted wire loading bar is color coded and IDC termination clamps firmly grasp stranded or solid conductors for a reliable connection. Available for immediate sale, the 6-PLG-TOOLESS costs $2.00, the E-PLG-TOOLESS costs $1.85, and the E-PLG-TOOLESS-BT costs $3.25 each.